Zombie Virus is a solid, methodical and well-researched addition to a genre that is usually overburdened with half-baked action scenes and infection backstories with the depth of a shallow puddle. Enter Paul Hetzer, and book one of his Zombie Virus series. The first few chapters are overwhelming – from the prehistoric origins of the virus, through to the initial human outbreak itself, Hetzer bombards the reader with information – in a good way. The first fifth of the book deals with the outbreak itself, and the efforts of our protag, Steve, in finding a cure for the infection. The infection in this book seems more virulent than most, and people immune to the initial infection are few and far between. After the science, comes the action – and fans of the genre will not be disappointed with the blood, guts and gore found within. Our protag and his family, picking up friends on the way, must try and make their way out of infected population centres, to the safety of their farm steading to see out the infection. Of course, things are not that simple. With great pacing, credible, well-thought characters and a wonderful infection premise, this is a title that will not disappoint genre fans. It’s the most wonderful time of the year! No, not when a creepy old guy who’s been spying on you all year decides to shimmy down the chimneys of only the most innocent children. It’s a far less sinister season: Halloween! Here at Zombie Horror we love All Things Zombie. The Twelve Days of Christmas already exist, so without further ado, I bring you the Twelve Days of Zombie, incorporating some of my favourite tales from the genre. Want a standalone series? Pick day one! Fancy a twelve-book long haul series? You know which day to pick 😉 what series do you enjoy, that I’ve missed from the list? Add a note with your favourites below, for a chance to win signed paperbacks of the Great Bitten series by Warren Fielding – two winners will receive books one and two, and participation is international! (There are too many honourable mentions for the standalone category. I picked Paffenroth, because it’s a title that drew me into the genre, and made me want to read more zombie fiction). Time of Death | Shana Festa (two books of terror and unmitigated death, and counting). The Great Bitten series | Warren Fielding (also two books and counting, shameless, I know). The Morningstar Strain, by ZA Recht. The first ZomPoc series I ever read, and still my favourite. The Zombie Bible series, by Stant Litore. The Zom-B series by Darren Shan. Make sure you catch more awesome content from the rest of the Zombie Crawl authors and bloggers! When I read Festa’s first zombie novel, ToD Induction, I read it in one sitting. Her writing style was gripping, and whilst not unique in plot, her storytelling was ruthless, the action non-stop, and I found myself fully invested in the survival story – and tragedies – of the Rossi’s. The narration of Sarah Tancer plays a definite part in how enjoyable this title is. Her delivery and timing is en pointe, and if you aren’t a fan of audiobooks, I would recommend this as a definite starting point to try. You won’t find many ZA books with better narration. Asylum itself didn’t get devoured in the same way as Induction – life got in the way, somewhat. So this time, I found myself mulling over characters and motives. The Rossi’s have somehow escaped Sanibel with their lives, and through trial and error, find out about a safe-haven called Asylum. They decide to make their way there, and spend around 2/3 of the book doing so. There is no mundane filler in this title – the Rossi’s do not collide around the US like hapless hobbits. They carve their way through the zombie apocalypse, and Asylum’s action was as hugely enjoyable as the first. I enjoyed more, however, the character development in this book. The events that the main characters endure are really starting to tell on their personalities, and Festa has taken time to make sure this creeps in throughout the novel’s timeline. There are no blunt and unjustifiable changes in mentality that leave you scratching your head, trying to figure out what went wrong. The twist at the end, whilst perhaps predictable in parts, was grimly satisfying, and we’ve been set up on a grand cliffhanger for the next novel. 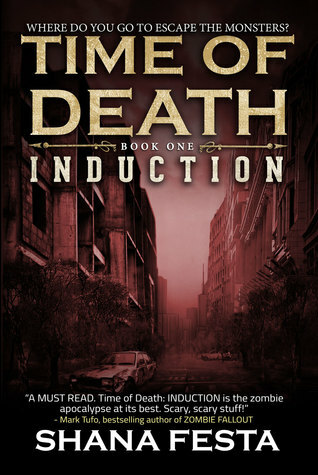 I can’t wait to get my hands on the next installment in this series, and this is one zombie writer I implore you to try. You won’t regret it. It’s not often that a book actually haunts me. I have been engaged with books so much that I haven’t put them down, cover to cover. I’ve recoiled from text, winced in sympathetic pain with the character(s), and wept in sadness at a favoured characters’ demise. What I rarely experience from a novel, is the need to put it down. To walk away from the story and clear my mind of images which are bluntly traumatic, and written with such excellence that every sentence slices away a little more of my sanity. In Suffer the Children, Dilouie has crafted a story of not insignificant excellence. It is not at all surprising that the book has made the preliminary ballot for the 2014 Bram Stoker Awards. From the outset, it is evident that this book is all about character. As is seen so much in horror fiction, the real monsters are (eventually) the humans themselves. Where this book can claim some mastery over others in the genre, is in how it goes about showing us, just how fragile, and just how very human, the characters in this story are. Dilouie shows us real families with real troubles and triumphs. From the outset, I put my lot in with them, not realising that, as the pages wore on, I had been lured into a false sense of security. Characters that had been protagonists slowly became antagonists – not quickly, you understand me. Over a process of weeks, they become steadily deranged as the havoc wreaked by the Herod syndrome roots itself deep in society. I suppose the most unnerving thing about this story was that, if something like ‘Herod’ were to occur, I could realistically see the scenes in this book playing out across the world. I loved the way the book set around building you up, just to tear your hopes down; this, perhaps, was the only way for you to understand the desperation and the sheer inhumanity with which some of the characters ended up acting. If Peter Pan had been a vampire, he’d have chosen this as his story. There were some deliciously sickly scenes, some of which were reminiscent of the human desperation and isolation in Let the Right One In by John Adjvide Lindqvist. The ending, too, was just right for the tone of the novel. This book is searching, and for some may take a brave and concerted effort to finish; but damn, it is worth the effort. I read a couple of things in reviews earlier this week that really ground my gears. I know this is a review site, but I’ve got a category called “rants” and oh boy, I’m going to use it for this post! It has long been known that folks don’t like to pay much for books. I don’t know if we get to blame indie-publishing and the free book landslide for this, or KU (Kindle Unlimited) and a fundamental devaluation of fiction. What I do know, is people need to pull their heads out of their backsides, and understand how they sound when they say “that book costs too much” no matter what your apparently well-reasoned intention. The book is too short. I’d only pay 99c for a 15K word book. This isn’t a verbatim quote, but it’s pretty damned close to a comment in a review I saw on Amazon US, and I’m sure there are hundreds if not thousands of similar comments across the Kindle Store, if I choose to look (and make myself go all She-Hulk about life). A short book doesn’t take me long to read. Therefore I shouldn’t pay very much for it. *at average reading speed, it would probably take you around an hour to read, and take in, a 15K word piece. An unfair judge of worth, compared in no way to the return on investment you get, and unfairly judged based on what people spend on similar products. A tall flat coffee from… oh, somewhere, will cost you $1.45 and won’t take you an hour to drink, but you don’t take it back to the barista complaining about that, asking for a refund, and giving them a bad review on Tripadvisor. Nor will that anonymous coffee have the potential to change your emotions, transporting you to another world, even if it’s only for a short time (unless they’ve spiked it). So, what we see is, despite the fact you’re happy to throw money for a caffeine hit with no meaningful overall value (other than making you not want to throat-punch things on a Monday morning), you are not willing to pay often less than that for a piece of fiction which has potentially taken the author upwards of 20 hours to write, not including edits. Don’t ignore a short book because of its price – because that heinous cost is, when you actually look at it, virtually nothing at all. I’m not paying that much for a book from a debut author. Is writing the only industry where this insanity happens? Would you refuse to pay less for the second album by Bastille, because they’re a new band? That’s the logic these people are using. Do I really need to explain my “DAFUQ” any more than the picture above? I can’t even begin to guess. I suppose cost justification is all personal. If you’re down to your last dollar, you’re going to spend it on water or food before you spend it on a book. But, again, people will throw money at caffeine and fast food that’s just going to pass through their system and come out the other end, gracefully or not, without changing anyone or anything (apart from perhaps the aroma in the loo). If you don’t trust the author, then there are loads of facilities for you to sneak read the book. Amazon has a “preview” facility where you can read the start of the book. Read the reviews. Check out blogs. We’re in the information age, no one has to buy anything blind any more. Which means less royalties. Which means less pay. Which means we have to sell more. But we can’t sell more until people buy them. People won’t buy them because they cost too much. We need to earn money to pay our bills and survive, to write more books. You get the cycle I’m hinting at? Is dropping $5, even up to $8, on a full length novel by an author you’ve read a snippet of, a book you like the look of, really going to end your world? The average reading speed (for mathematical and blogging purposes) is 250 words per minute, at the upper level. This works out to 15,000 words per hour. What kind of value for money do you get from your favourite books? The Complete Harry Potter on Kindle will set you back $58 and is an approximate total of some 1,084,170 words. This will take the average reader around 72 hours to complete. So, this box set, whilst seemingly a massive cost, will only actually cost you 80 cents per hour to read and enjoy. Stephen King’s The Stand will set you back $6.55 but checks in an approximate word count of 464218. This will take you 30 hours to read (with a good headwind), so The Stand will only cost you 22 cents per hour. authors: how much does your book cost, per hour? You get where I’m going with this. When you say that book is too expensive, you sound like a douchnozzle. If books don’t sell, authors can’t write, it’s as simple as that. Give it a thought. Support an author you think is promising. You might actually change someone’s life. Dawn Peers is the author of Great Bitten: Outbreak and Legacy of Darkness. She is a blogger, daydreamer, and IT geek, and she welcomes any debate you have to offer on this very divisive subject! The horror subgenre of the zombie is well known, loved, and completely crammed with books right now, and not just from self-published authors (though they do constitute a huge percentage of this). Most zombie fans know their Max Brooks, their Walking Dead, and their… well, the other ones. What this list is going to do, is tell you the ten zombie books that you perhaps haven’t found yet. Maybe the author is a debut, or not well-known. Maybe you thought their fiction – or the book itself – wasn’t for you. All of these books deserve a place on the list for varying reasons – I encourage you to pick some up, support an author, and find this out for yourself. There is no particular order – I have read – and love – all of these books. Dead Meat was a painful story to read, in a very positive way. The zombies are referred to as ‘bees’ (which I like, frequently extending the bees myself on the end of the eponymous phrase). 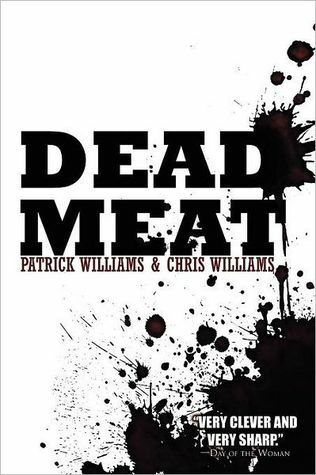 What I liked about Dead Meat, was its setting in small-town rural USA. So many books hit the cities head-on, and reading how smaller communities would deal with things (or not) is reasonably fresh. The pacing is excellent, and the action good. This is a page turner. It also stands in a very elite group of books, where I actually cried at the end. I had the privilege of interviewing the authors after reading this, and you can find that interview here. It’s not a short read, though it is by no means The Stand. By the end, you’ll feel you have been put thoroughly through the ringer. So many zombie survival stories are about groups, right decisions, and the humans in the story becoming monsters. Dead Meat does adhere to some genre tropes, but then it twists them around stabs you in the eye with them. Given Shana’s reputation, and the amount of books she has read and reviewed for the Bookie Monster, it is perhaps not surprising that her debut zombie novel is an absolute blast. We are straight into the action, with likeable, flawed, very human characters juxtaposed against an army of the undead you wouldn’t want to meet in real life. It’s like Game of Thrones for zombies – don’t decide that you have a favourite character, because no one is safe. You can read the 5* review I wrote on this here. The book has received wide acclaim, but needs more pushing (I personally think) as it’s a debut novel to love, and Festa is a horror author to watch. The second book of the series, Time of Death: Asylum is also out, and I’ll be ploughing through that this weekend, so keep your eyes out for the horror blog review! No one is safe. Festa is bold and brash, and scythes through action and characters like Death at a harvest. Say goodbye to your soul *and* your heart. I am perhaps inclined to love Litore’s fiction no matter what he writes. He structures his work with care and infuses it with passion, and no matter what you pick up from his bibliography, you’re sure to enjoy. 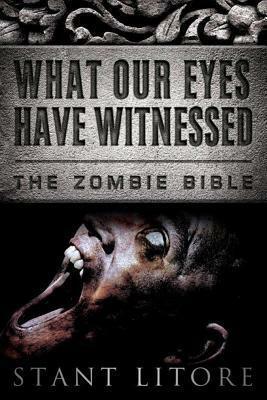 That being said, I am going to recommend you ‘What Our Eyes have Witnessed’ from the Zombie Bible series. This is the standout favourite in Litore’s work so far for me. I zoned in for it initially, as I hadn’t seen any zombie titles set in the Roman era, and I felt I *needed* to read the book mainly, I admit, to criticize it for historical flaws (sad, I know). Sadly for me, and gladly for Litore, there were none, and I found a book that perhaps wasn’t full of action, but it was full of what many zombie books lack – humanity. I fell in love with the characters he crafted, and with Dead Meat, is the only other zombie book that has made me cry at the end. It’s an emotional investment, but rather than the body-blows of Dead Meat, Litore rips out your heart, then pats you on the head afterwards trying to tell you everything will be okay. Well it isn’t, Litore. It will never be okay. You’re heartless, so now I’m going to have to read all of your books ever. Litore’s prose is beautiful. Literally. I haven’t read an author like him in the genre before, and honestly, I doubt I ever will again. Eloise Knapp is a fantastic representative for the zombie genre, with several outstanding titles already on the market. Pulse is a self-published title. I have reviewed it here, and highly recommend you check out my interview with Eloise after I had finished reading the book. Pulse made me physically sick at points – I’m not sure if you need much more of a recommendation than that! Suffice to say the action in Pulse is stomach-churning. The premise of the outbreak is different, and credible enough. I suppose the infected aren’t your traditional zombies, so perhaps it’s a little cheeky that I include it in this list, but it’s a title that definitely needs more buying, more reading, and more reviews! There are multiple POV scenarios in Pulse which keeps you turning the page. I particularly enjoyed the infected POV elements, and look forward to more of that! Pulse leaves you on a cliffhanger (so much of one in fact that I felt like hurling my Kindle out of the window. Luckily I was in a room without windows at the time) and you’re lucky, because the next book in the series is out now. Read it for the awesome build story and infected POV alone. But also read it for the gross exploding things. UK zombies! Yay! Wait? What do you mean you’ve never heard of Warren Fielding? Well, find out. This book isn’t 28 Days Later, and it’s not Sean of the Dead. What it is, is the first-person experience of a narcissistic (and mildly hapless) journalist as he stumbles his way through the early days of a zombie apocalypse. It’s all based in England, though there are so few geographical references that you only really feel this from the way the book is written. It’s fast-paced and darkly funny, with at least one twist on the standard “genre” zombie. It’s another cliffhanger book which will leave you wanting to hurl some things at other things, but that’s okay. The next book is out in June, and Warren is building a massive zombie world, releasing short stories for you to enjoy whilst you wait for the next instalment. 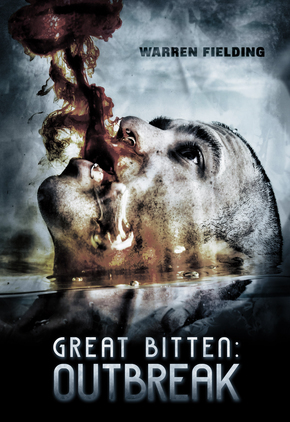 Great Bitten is gaining quite the plaudits on Amazon UK, but readers in the USA (and abroad) appear more hesitant. Give it a try, you may just like it! Silent zombies. And the most sarcastically deadpan apocalypse I’ve seen. From the UK to Australia – Tankbread has a reasonable following but, like Great Bitten, I think it could do with more international acknowledgement. Some people on this list craft their stories, and some people kill indiscriminately. Mannering has somehow contrived to do both with some admirable aplomb. This is another book that I have reviewed, here, and books two and three of the series are now out to complete it. Tankbread is not for the faint-hearted, nor for the squeamish. It’s full of gore, terror, more gore, extra gore, and layers of thick, creamy action. Again, I felt nauseous in parts, but the first book made me fall in love with the series as a whole. Think Mad Max meets The Fifth Element meets Resident Evil, and maybe, just maybe, you’ll be there. The book takes place a decade after an outbreak has already decimated the world, so the ‘Evols’ (that’s zombies to me and you) are running the show, so it’s a different take on a genre that is often struggling for new ideas. This is the zombie book Eli Roth wished he’d written (probably, I haven’t actually asked him). We’ve had a journey across the ages, and we come now to a zombie book based on a piece of classical work. It would have been so easy to include Pride and Prejudice and Zombies here, but everyone knows that one, and it’s hardly original (and actually, I didn’t like it so much). Paffenroth’s Valley of the Dead however, was quite riveting. If you’ve read Dante’s Inferno already then you will appreciate the play between the two. I love fictional adaptations and Paffenroth’s an author of already-acknowledged talent. The reason Valley makes this list, is because his adaptation… well… it isn’t cheesy like so many others. There is still suspense, there is still tension, and there are very obvious moments of sheer horror. I’d also recommend the audio version – I actually picked the Audible version up first before I read the book and the narration is second to none, really suiting the style of the story. Classical fiction meets visceral horror in an excellent rendering of a well-known tale. No list is perfect and these are just my opinion. Feel free to add your own suggestions below! This was actually the first in the Stone Soldiers series that I’ve read, however, after this, I will be seeking out the rest of them! This was a fast-paced and action-driven story. Like a mash-up between Heroes and Supernatural, this story wasn’t really about the infected, more than the paranormal super-soldiers enlisted to stop them. The premise, however, was original. Whilst the focus was often lost – I wasn’t sure which character the story was truly following, or lauding – the pacing was excellent. I didn’t want to put the book down. There were genuine laugh-out-loud moments, which I do like to see (or hear) in supernatural action. I found the ‘lead’ character to be the story’s weakest, though he had what was perhaps the best power. Think Groundhog Day meets Edge of Tomorrow meets World War Z, and you might be there, though I found Kenji to be slow on the uptake. This may be because many of his ‘attempts’ (you’ll see when you read it) are skipped – understandably, otherwise the book would be a behemoth. I think this would entertain readers of thriller fiction as well as horror. Martin’s writing style has much to like, with just enough descriptive prose to give you the setting, the majority of the text given over to the action itself. The dialogue wasn’t stilted, and I could easily picture a few of the exchanges. Pick it up, detach your expectation of realism, and buckle yourself in for an enjoyable ride. The sample includes the first chapter of the novella “White Pebbles” and the first section of the short story “Legend of the Soul Eaters” both included in the collection coming this June. Hansel’s face was in the wet sand under the overturned fishing boat. He stared at the white pebble he had placed on the block under the bow of the boat where he hid beside the shore of the lake. The wood above his head had been cut by his father and then fashioned by richer men near the docks. The boat had brought wealth to families that were depending on Hansel now. The wood was rotting as it sat abandoned for too long. The monster’s blue feet marched through the sand past the boat within Hansel’s view. If it discovered him, Hansel was going to be eaten alive. He breathed quietly as he watched the footprints behind the dead creature. They filled with water below the sand which soaked slowly back below the surface just like the footprints of any living person would. These footprints were missing some of the toes. Hansel pulled the lines up over his shoulder on the ground in the shadow of the fishing boat. His catch for the day hung on the ends of each line. He did not have enough for everyone. Many of the animals in the forest had fled from the Twice Dead Plague. Both common beasts and enchanted creatures had abandoned the forests as the villages became the haunts of hungry death. Hansel crawled forward to look under the rim at the docks and the catch houses. The rats on his lines dragged through the sand under him. There were at least two of the moving dead under the dock. They were consuming something. It could have been an animal. It might be a human they were eating, but every survivor in town was waiting in the church now. There were other creatures that might have fallen prey to the cursed corpses as well. On the boardwalk around the fishery house, others wandered as they searched mindlessly. They were driven by hunger and not thought. If they spotted Hansel, they would follow him until he was caught and they would eat until his bones were clean. His father’s ax or an archer’s arrow could stir their brains and drop them permanently, but Hansel had neither of those weapons on this foraging trip. He could see the red letters on the side of the long building facing the lake read, Bountiful Fish Market. It was past due for this season’s repainting. He furrowed forward through the sand until he was exposed and rose up to kneeling beside the boat. He peered over the keel at the blue-footed cadaver as it advanced on its partners feeding under the docks. He recognized the body now that he was out from under the boat. The jacket had been fine silk, but now it was mired with filth and torn with bits of twigs and brambles. The linen pants were shredded and frayed around the cuffs. In addition to missing toes, the man had been bitten around his calves in a vicious manner. His hair was uncharacteristically out of place. Tufts of it were missing around the back of his scalp for reasons that were not immediately apparent to Hansel. Mr. Haber, who had run the fine articles haberdashery near the docks, had given up on caring for his clothes in death and had spent time in the woods and in the rain. He heard branches snapping in the trees that bled down the slope to his left up to the edge of the shore. Hansel moved up off the sand and over the thick grasses to the dark gravel of the waterfront road. He did not look back, but continued up between the first buildings facing the water across the red cobbles. He cut his eyes from side to side as he slunk along with the strung bodies of the rats bouncing against his chest and back. Most of the windows were broken out or shattered inward. Shingles were torn away and plaster was broken through where storms had inflicted damage that was no longer being repaired. They began crossing the next street in front of him across the mouth of the alley. Hansel stepped back into the stoop of one of the taverns as he waited for the bodies of his dead neighbors to shamble along the street deeper into the village. A bony hand reached through the lattice flicking out broken shards from the missing panes. The fingers closed over Hansel’s cords and tried to fish the rats into the tavern with the reanimated barkeep. Hansel grabbed the cold wrist and pulled the arm out to the knob of elbow that caught in the square of wood. The barkeep growled and pushed his lips and tongue against one of the slats. Hansel looked out from the corner of the doorway. The mass of bodies crossing the opening of the alley were still thick. He twisted the emaciated arm, but the owner didn’t register nor react to the pain. It’s not a fair fight, Hansel thought. He grabbed the fingers one at a time and peeled them away from the lines. He couldn’t afford to surrender any meat to the monsters that would never satisfy their appetites. He froze at the sound of his own voice. His eyes went wide as the barkeep’s teeth locked on one of the slats cracking the wood as the inhuman creature slowly chewed through the lattice. Hansel looked around the doorway again. One of the bodies had stopped. She was leaning hard to one side on at least two broken bones. She looked up through her greasy hair at the second floor windows down the alley. Her eyes and head jerked from side to side as she turned toward Hansel. He pulled his head back before she spotted him. It’s already too late, he cursed inside his head over and over, now this dead girl is counting on you too, you fool. The barkeep growled as he wiggled his lifeless fingers out of Hansel’s warm grip and clutched the front of the young man’s shirt. Hansel pulled back stretching the fabric as the lattice began to break away from the edges of the frame in the door. The barkeep’s elbow popped through the hole and the arm extended out to the boney knob of his shoulder. Hansel stumbled off the stoop into the alley in front of the doorway where the dead man held tight to the boy’s shirt. The man’s moldy sleeve was bunched up against the wood as he tried to pull Hansel into his snapping mouth. Hansel heard her limping up the alley. Her damaged legs produced a swish, crack, clop … swish, crack, clop. She began screeching in long, breathy bursts of animal desire. Hansel looked as he held the barkeep’s wrist with both hands struggling for his freedom. Others paused at the mouth of the alley and turned when they heard the woman screeching as she hobbled closer to Hansel. They began to follow her. Some were moving more quickly. They began moaning as they reached out for him with what hands and fingers they still possessed. Most were missing pieces. They were going to take pieces from Hansel too. Hansel pulled his knife from his sheath. He held it up as the bodies filled the space from wall to wall. They jostled each other as they advanced on him. He looked down at the hand of the barkeep twisting his shirt. He brought the blade down and began to cut and tear in uneven hacks. Finally, the section of cloth ripped loose from his shirt in the barkeep’s clutches. The dead tavern owner brought the cloth too his mouth and began to chew the piece of material. Hansel looked at the hole in his shirt as the leaning woman’s fingers brush over his sleeve at the front of the pack. He dashed back down the alley still holding his knife. As soon as he stepped back out on the red cobbles at the edge of the dark gravel of the waterfront road, he saw the wave of bodies closing in on him. Some were thrashing forth from the forest. Others were climbing out and around the fishery. Mr. Haber shuffled out from under the dock at the sound of the commotion. He was still chewing. Hansel’s eyes fixed on the shadows in the lake. “Are the fish returning?” he asked aloud. The tops of the skulls emerged first very near the shore. The wrinkled flesh bobbed forward on the surface and then the milky eyes rose above the water. The bodies did not heave for air like a living man would. The nostrils and mouths surfaced next. Dark water drained out as they opened their jaws. They were not opening for air. They were hungry. The stout frames and waterlogged beards slowly came into view as the dwarves marched out of their watery grave. Some of them still had the jagged hunks of white stone chained across their chests. Others still had their wrists bound by leather cord in front of them as if they were praying before they ate. The rock dwarves from the quarry bury their dead in the lake, Hansel shivered as he watched. They are coming back too. Over the moans and gurgles all around him, he heard a swish, crack, clop, and screech close behind him. Hansel ran along the dark gravel looking for a path through the closing horde. Father backed the bull oxen into the bars of the wagon’s thill shafts. They were large enough to tear him apart with their curled horns, but they snorted and bobbed their broad heads instead. He held them by the leathers strops attached to the rings through their noses as he tightened the harnesses to their wooly backs by hand. I just sat in the rocker seat because I was too young to handle the bulls, but not young enough anymore to avoid this task. Despite the winter chill and stripped trees, the forest seemed to be very close to the barn, cottage, and stocks today. Father stepped up into the wagon and snapped the oxen forward to lumber deep into the trees. I had only been down the dirt trail three times in my short life. There were few reasons to leave the homestead before I was trained to hunt. I was not an explorer like my brothers and I did not see beauty in the world around me like my mother did. Others listened to the legends and heard hope and grace. I saw darkness and danger. My brothers stayed behind to guard and work this day. It was to me and father to travel to the city. We were silent as we reached the ancient road. Most of the stones were still in place. They were perfectly hued with edges we could never achieve with a hundred years of trying. Some of the stones had been taken by our family and others to build our own houses, but enough remained that the wheels felt strangely absent underneath me as we rolled over their smooth surface. We were told that these wonders had been wrought by the men who preceded us, but I couldn’t imagine that human hands were capable of miracles. I felt very frightened and lonely riding next to my father that day. I had never been this far from the cottage for any reason and it felt like reality was being pulled extremely thin. This was where monsters lived and tore through the fabric of our world. “We have a long way before we reach the launch,” he answered after a thick pause. I was distracted by the arches of the aquifers that rose higher than any roof over the trees beyond the slope of the road. It was just a section and it would no longer hold water, but it still stood in silent testimony. Father saw I was captivated by this reminder of how far people had fallen since the days of the Empire. Father didn’t repeat the opening verse again. “The Maker was very pleased,” my father paused to clear his throat. I looked out into the woods at another cottage we were passing. I could see the family working as if life was unchanged for them. I imagined that they could see the ruins of the aquifer from their barn. This close to the ancient road felt very dangerous to me. I was afraid for them. As my father spoke, we slowly left behind the tall trunks of the Forest of the Virgin and passed through more modest trees of the Star City ruins. I had never been here before this day. The sky was startling to me. In the thick branches of the forest, the limbs and stems weaved across the sky even in the leafless winter. The sky was a pale backdrop to the skeletal canopy above our heads as we worked or sat waiting for winter to pass. The sky could also be the white or grey furrow of cloud cover that cut above the packed, dirt trail that lead to and from our homestead. Out in the city, the sky was the entire, open scene. I was lost in it. The pressure of the day had made it a cold and empty sheet of blue over our heads. The bright sun prevented me from looking in the direction I was told was east. There was a fingernail sliver of moon still in the blue like a small cut to anchor my eyes, but I kept losing its position as my eyes tried to take in the entire foundation of the Maker’s Halls. My father saw my obsession and he paused from the telling again. The ruins of Star City were a patchwork of stone monuments and empty land where the cottages of the ancients had once been, but were no more. My father sometimes, but rarely spoke of his grandparents living in the buildings here until the curse of the Maker fell on them for profaning the monuments that had once served his glory. I wasn’t sure, but I believe they had fallen prey to the hands of the barbarians and the soul eaters that roamed the land far and wide. I was about to ask my father to continue and then I saw it emerge on the open horizon. He knew it was about to come into view and he wanted to preempt my sin of interrupting a legend again. “It is,” my father answered. I felt I had to be sure he knew what I meant. It seemed so foolish looking back because what else could it have possibly been. Pulse is a new series from zombie horror author Eloise J Knapp. If you’re interested in hearing from the author, I interviewed her for the blog over here. Did I say I was squeamish yet? I’m pretty sure I’ve mentioned it once or twice. Well, Pulse pulled on some strings and, in summary, it was an edge-of-the-seat, stomach-churning head-pounder of a novel. I have read Knapp’s work before, and have reviewed her Undead series on the blog. She is a character specialist it seems; building a world of credible terror, then guiding you through its most deplorable dark alleyways via the perspective of each of her creations. 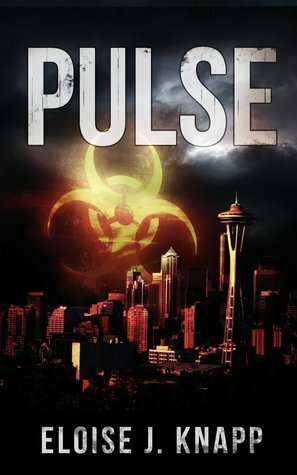 Each personality in Pulse gives us a different view on the chaos surrounding the initial outbreak, and it’s a fresh look at viral fiction that is well-needed in a congested genre. Pulse is different – it’s not ZA fiction, and it is perhaps all the more terrifying in that its premise could feasibly happen. Knapp leads us from scared youths through to scientists elated at the new discoveries and what this could mean for their careers, through to the bunch of crazies where, hey, this is just another day, amirite? A crazy shoving her heavily gestated body through the window of a car so she can explode worms in on a screaming bunch of teenagers that, in time-honoured horror plots, were either going to get it on or be resentful of those that were going to be got (whatever that means). I felt physically sick. Writing doesn’t often do that to me any more. Well done Eloise! I can’t wait for the next instalment of the series – this was done in one sitting and I literally did not put it down. One for your library for sure, especially if you love the kind of squeamish infection horror produced by Linqvist (The Strain) or anything involving bodily explosions.